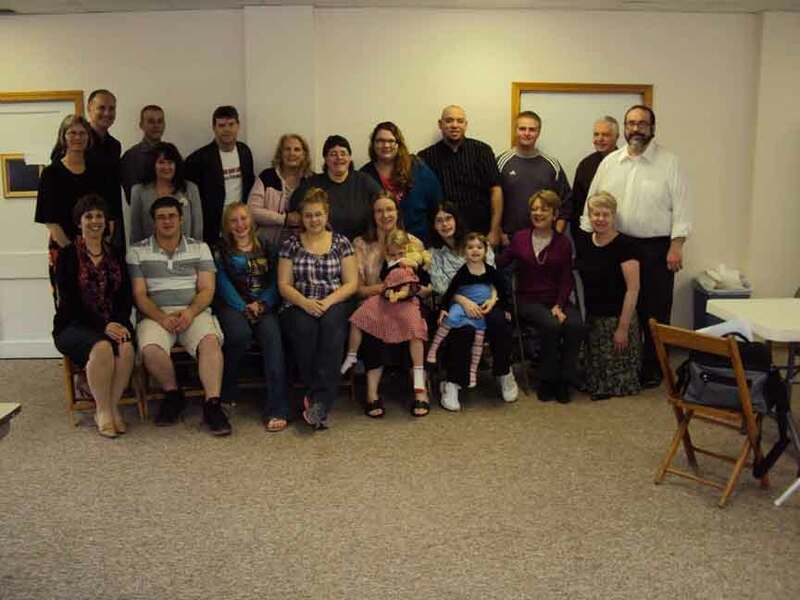 KINSMAN – With what started nine years ago as three young ladies desiring to create an outreach program that collects items to help single moms today has evolved into much more thanks to a ministry called Stepping Stones within Ashtabula/Trumbull County and beyond. (From Feb. 8 edition). According to Administrator April Hochstetler, Kara Michaleski, Paula Miles and Nichole Hines first began the ministry by collecting items that single moms could use and then later realized that there were many others in need of assistance as well. Of some of the giveaways that they currently offer close by Hochstetler said includes her main spot, Kinsman Chapel every third Saturday of the month from 9 a.m. until Noon at their location of 6590 State Route 87 in Kinsman through the help of herself and Pastor Howard Darr, as well as Cherry Valley Church of the Nazarene on the second Saturday of every month from 9 a.m. until 1 p.m. at 3410 Route 6 in Andover through Patty Brooks. They also offer giveaways at Lifeway Nazarene Church in Greenville, Niles First Church of the Nazarene in Niles, Abundant Love Outreach in Youngstown, as well as are open to other locations as long as people abide by their rules. “Anyone can have a giveaway in our name we just ask that they follow a few rules: that there are no income requirements (as everyone needs help sometimes), that they show God’s love to the people who need it and that the giveaway is offered either once a month or at the change of a season,” said Hochstetler. Aside of the organization of it with Michaleski, Miles and Hines, Hochstetler said she also has help her friend Kelly McCandless in running the Facebook page, among others that volunteer at the event/donate towards the cause the Thursday or Friday a week prior of the giveaway. In addition to the material goods giveaway (which includes clothing, household items, hygiene, baby items, toys, etc. much like a giant garage sale), Hochstetler said Stepping Stones also occasionally offers educational support during their giveaway days as well through demonstrations like making homemade soap, heart checkups, budget classes, as well as Bible studies for people dealing with addictions. For further information about Stepping Stones ministry at Kinsman Chapel (or to inquire about other locations) please call April Hochstetler at (234) 600-5674 or Kara at (724) 456-0217. Pictured: A view of a variety of donations Stepping Stones ministry has offered at past churches during a designated giveaway day.